1Preheat oven to 200C/180C fan-forced. 2Boil, steam or microwave sweet potato until tender. Mash with sour cream and mustard. Season to taste. 3Meanwhile, combine breadcrumbs, parmesan, parsley, lemon and oil in a bowl. Mix well. 4Place fish on a baking paper-lined tray. Coat fish with crumb mixture. Bake for 15-20 minutes until fish flakes easily with a fork. 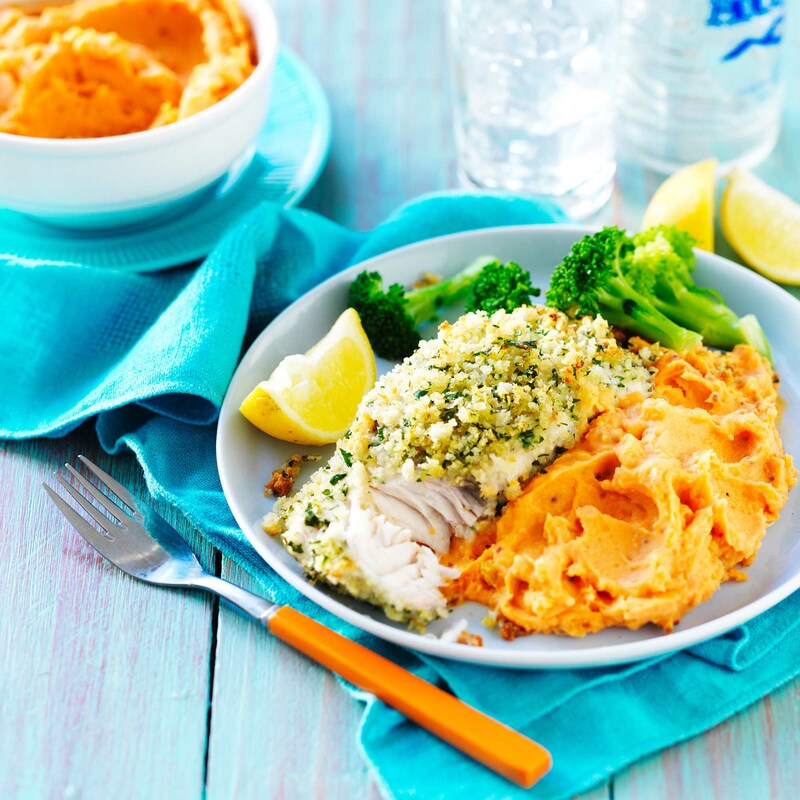 5Serve fish with mash and broccoli.